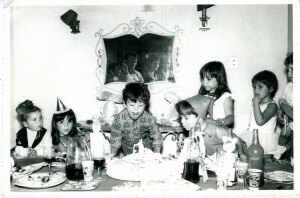 A birthday party snapshot I found in an antique shop. With the soft air of his little lung. At the industrial bakery in the A&P.